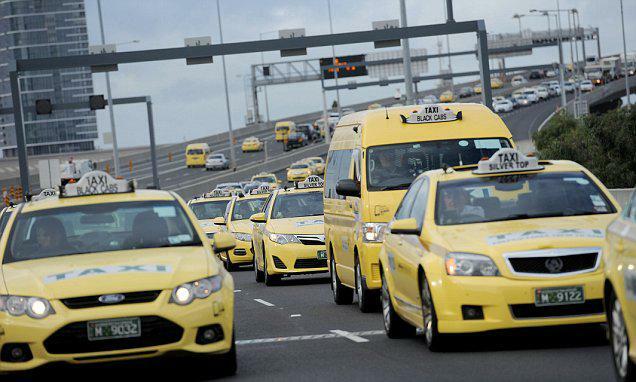 Australian taxi drivers in Melbourne have staged a "go-slow" protest on one of the city's busiest roads, BBC said on Monday. Taxis drove at 5km/h on the Tullamarine Freeway to Parliament House during the morning rush hour, causing a traffic jam. The protest is seen as a response to the state government plan of industry reforms that will regulate ride-sharing app Uber and scrap taxi licenses. Drivers are concerned they will not receive enough compensation. Traditional taxis operate under rigid regulation and have to pay big sums for licences to drive passengers. Last August, the state government legalised ride-sharing apps sparking a drop in the value of taxi operating licenses. The licences were worth up to A$275,000 ($210,000) each in 2015 and fell to about $150,000 last year. Victoria's state government has offered owners A$100,000 to buy back their first licence and A$50,000 for subsequent licences, as part of planned industry reform that will scrap the license system. Many taxi drivers said the current offer would have a great negative financial impact. Victoria's Public Transport Minister said the drivers were entitled to protest but described their behaviour as "irresponsible". "It's not actually bringing people to their cause - it's driving them away," she told radio station 3AW.